This section of the path is the steepest. 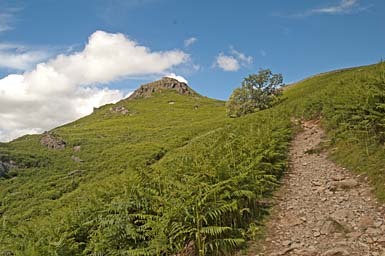 The summit of Grey Crag reaches around 1140 feet but once it is climbed there is only a gradual rise of about 60 feet to Alcock Tarn. Larger version of this picture.